Here are several new solutions to try if your kid isn’t a big fan of meat. You’ll always have simple food swaps and fun meal ideas to rely on! It’s more common than you may think, and many kids refuse to eat meat. 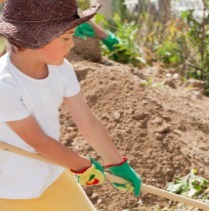 Kids go through a variety of different eating patterns as they grow, and many children will, at some point, decide to stop eating meat. This can happen when a child dislikes the texture, temperature, or taste of meat. However, don’t fret! With a little planning, you can still feed your child a well-rounded and nutritious diet without meat. The two most important nutrients in meat are protein and iron, which help little bodies grow big and strong. If your child is not interested in eating meat, it is important to include other foods that are also rich in these two nutrients. Children ages 1-3 years old should consume around 13 grams of protein and 7mg of iron each day, and children ages 4-8 should consume around 19 grams of protein and 10mg of iron each day. Read on to learn the best meat substitutes for your growing child. Make your child a peanut butter and jelly sandwich for lunch or give them a few crackers with nut butter as a snack. For an even healthier option, try sliced apples dipped in peanut butter, or the classic ants on a log (celery sticks with peanut butter and raisins). Don’t be afraid to experiment with all types of nut butter. Some great varieties try to include almond and cashew butter. Just 2 tablespoons of peanut butter contain 8g of protein 0.6mg of iron. 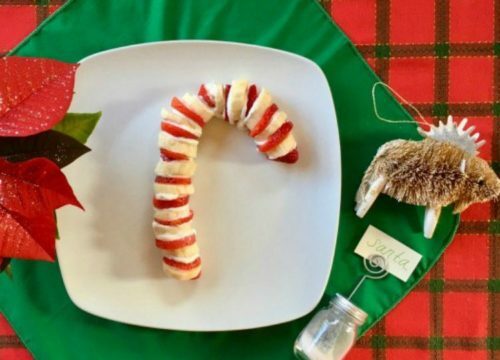 Watch this nut butter dessert recipe video then try making it with your kids! Eggs make an excellent meat substitute and can be prepared in a variety of ways. Kids love scrambled eggs for breakfast or hardboiled eggs as a snack. Frittatas and omelets are great ways to use up extra vegetables in your fridge, and egg salad on toast makes a great easy breakfast or lunch. You can even incorporate eggs into recipes such as meatloaf and French toast. One large egg contains 6g of protein and 0.6mg iron. Read more about the top 10 reasons to eat eggs. Try adding silken tofu to fruit smoothies for an easy protein boost. The fruit masks the flavor of the tofu and your child will think they are having a treat instead of breakfast or lunch. 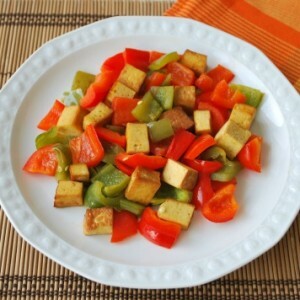 Tofu is also excellent in stir fries or scrambled up like eggs for easy breakfast tacos. ½ cup of tofu contains 10g of protein and 6.6mg of iron. Try this yummy tofu black bean egg scramble or ginger honey tofu. Eating yogurt is a great way to incorporate protein into your child’s diet. Yogurt can also be added to smoothies for extra protein and flavor. Try creating a yogurt parfait with fruit and granola, or freezing yogurt as an alternative to ice cream. Try greek yogurt for an even bigger protein boost. 1 single serve container contains 17g of protein and 0.1mg iron. Check out these 15 tasty ways to enjoy Greek yogurt. Cheese can be eaten by itself as a snack or incorporated into meals. Fun cheesy items include grilled cheese sandwiches, cheese and crackers, or homemade macaroni and cheese. Sprinkling cheese on vegetables is a great way to get kids to try them! A 1-oz cheese stick contains 7g of protein and 0.2mg iron. Cottage cheese is also an excellent source of protein. Just ½ cup contains 13g of protein and 0.2mg iron. Make cheese fun by creating child-friendly cheese balls! Beans and lentils are delicious vegetarian sources of protein. Try adding them to soups, using them in chili, or making your own hummus. ½ cup of cooked beans contains about 8g of protein and about 2mg of iron, while ½ cup of cooked lentils contains about 9g of protein and 3mg of iron. Here are 10 Easy Ways to Eat Beans. While replacing meat with other protein sources, don’t forget that your picky child will probably change his or her eating habits with time. Keep introducing meat sources to familiarize your child with different types of protein. Continue to provide many sources of protein and iron, and let your child experiment with a wide variety of foods. You might be surprised at what they like! 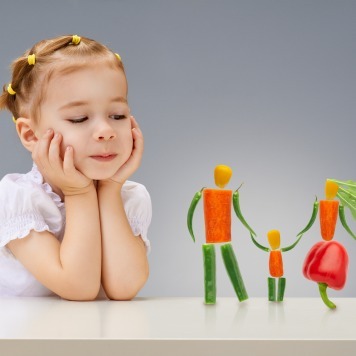 Check out our Healthy Kids Today, Prevent Cancer Tomorrow campaign for more ideas on boosting plant-based proteins and balancing animal proteins. Kristina was born and raised in Cincinnati, Ohio. She graduated from the University of Cincinnati with a major in dietetics. Kristina has a passion for food science and enjoys learning new ways to make healthy eating fun.